Quinns: OK. Wow. Who wants to play a game of real-life Monopoly! None of you? Well, you’re out of luck. Put on this top hat and climb into my weird, narrow car. News emerged last week that Asmodee, the largest conglomerate of designer board games publishers in the world, was acquiring F2Z Entertainment, the second largest publisher. This will make them such a big company that their rivals will realistically be Hasbro and Mattel. Does this sound like inside baseball? It’s not. You’re about to personally feel the impact on your wallet. After this merger goes ahead, Asmodee will be in control of the following designer board game companies: Asmodee, Fantasy Flight, Days of Wonder, Z-Man Games, Plaid Hat, Catan Studio, Windrider Games, Space Cowboys, Pretzel Games and Filosofia Éditions. Asmodee and F2Z’s combined publishing rights for tons of other games (including those of Bombyx, Repos Productions, Matagot, Carcassonne and Spot It!) will also be brought together under one roof. That’s some 75% of the companies SU&SD regularly deals with, the others being Stronghold Games, Portal Games, AEG, Iello and Czech Games Edition. 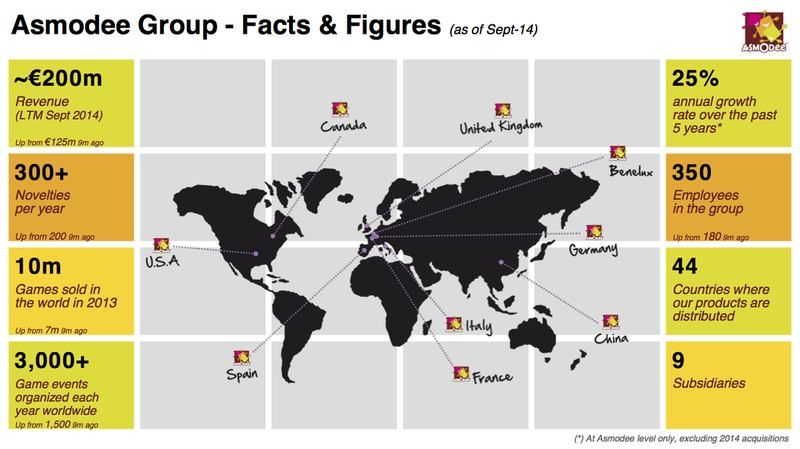 But of course, Asmodee isn’t done acquiring board game publishers yet. I first noticed a shift in prices when we published our Ra review this Friday. The price for a standard-sized Fantasy Flight game was previously around £42 or US $50, but Ra’s retailing with a recommended retail price of £50 or US $60. And frankly, Ra’s the lower end of how many components you can expect to find in an FFG box. 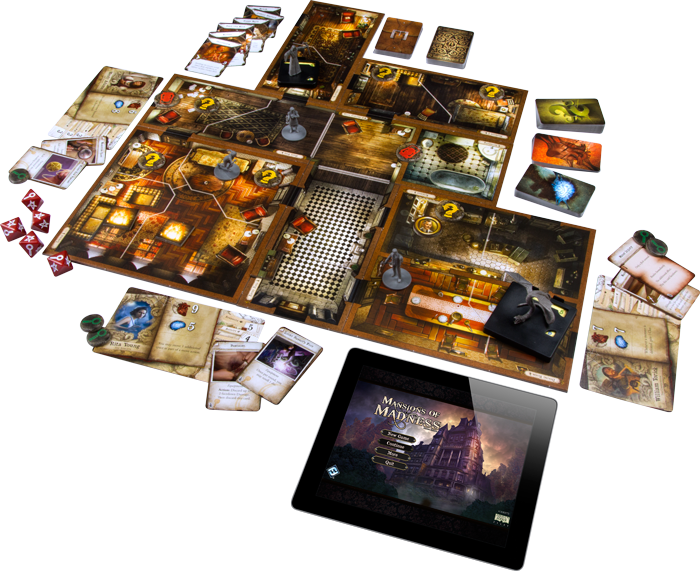 At the higher end, Fantasy Flight unexpectedly dropped the new 2nd edition of Mansions of Madness on us this week. The RRP is a staggering £93. We can probably expect it in retailers for around £80, but that’s a staggering markup on the original Mansions of Madness’ price of £50 considering it looks like the second edition has less in the box. But of course, it’s not just FFG. Days of Wonder’s new Ticket to Ride game, Rails and Sails, has more components than Ticket to Ride so I’d have expected an RRP of £50. Instead, it’s £60. This merger isn’t all bad news. 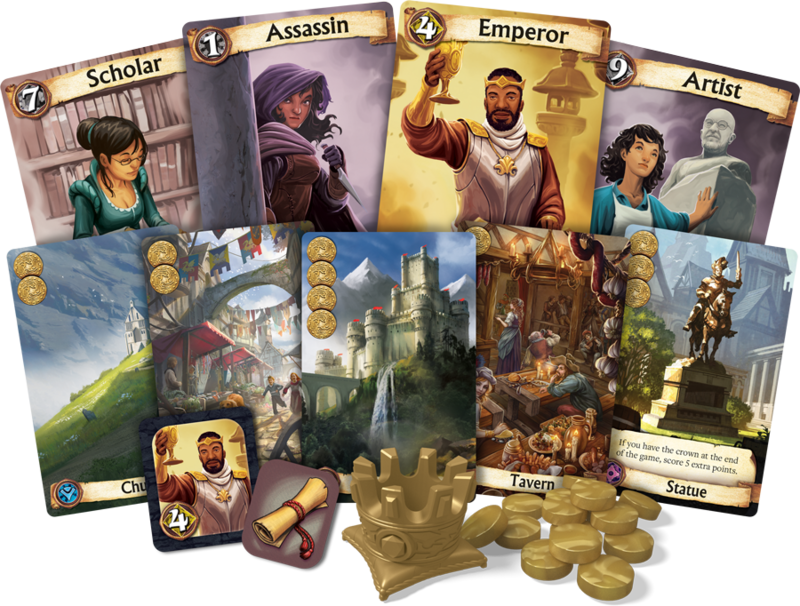 As a larger company, Asmodee will be able to keep more reliable stock of any games that sell well, and they can also push board games to a wider audience with never-before-seen levels of PR and marketing. I also expect they’ll be keeping the price of gateway games like Pandemic and Ticket to Ride quite low. But it does looks like Asmodee’s investors expect growth, and one place they’ll be finding it in the pockets of hobbyists like you and me. Gosh, real news is awfully depressing. 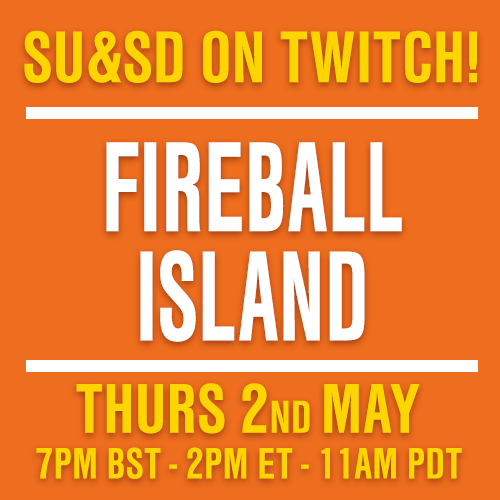 Take the top hat off and come burn it in the garden with me while I tell you about SOME HOT NEW GAMES. 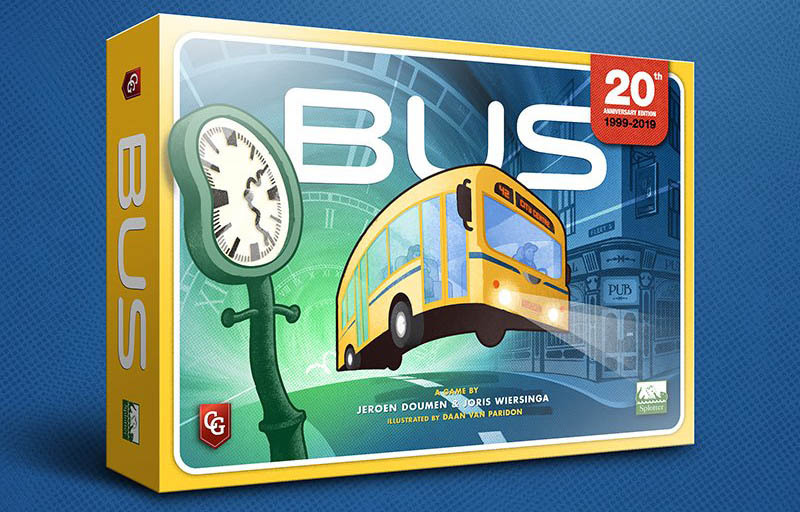 Asmodee have certainly cranked up the news spigot for Gen Con week. Not only have they announced Mansions of Madness 2nd edition, it’s out in shops this week! Did you miss this (fittingly mad) game the first time around? 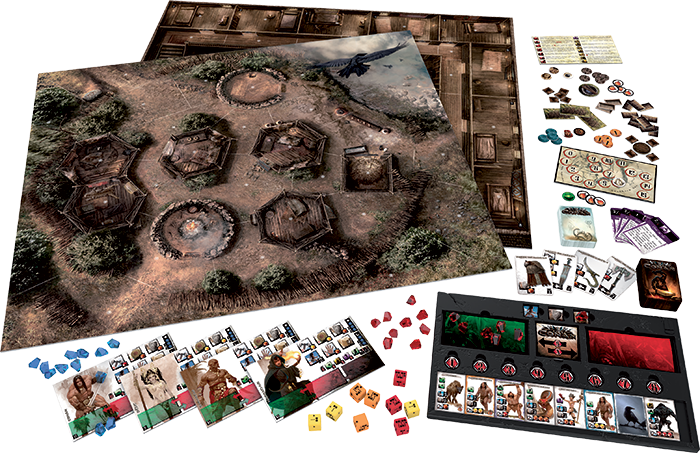 The previous edition was a bit like Descent, Imperial Assault or Betrayal at the House on the Hill, with a team of players running around a modular map completing objectives, except will a dozen bitty rules to make for a more granular, evocative simulation of Lovecraft. There were rules for darkness and dynamite, for catching fire and barricading doors, but the coolest bit were the real-life cardboard puzzles you had to do when you were deciphering runes or rewiring electronics, usually with some greasy horror edging closer and closer to your panicking (or hysterical, or traitorous) investigator. It was a wild idea, but as I said in my review for Eurogamer it didn’t quite hang together as a fun game. The massive change made in the second edition is the removal of the “Keeper” player who has to set up the board (which could take 30 minutes) and then controlled the forces of darkness. Now, all of that’s replaced with an app you can run on a phone, tablet or computer. Mansions of Madness 2nd edition is a co-op game! Sad about the removal of a keeper? 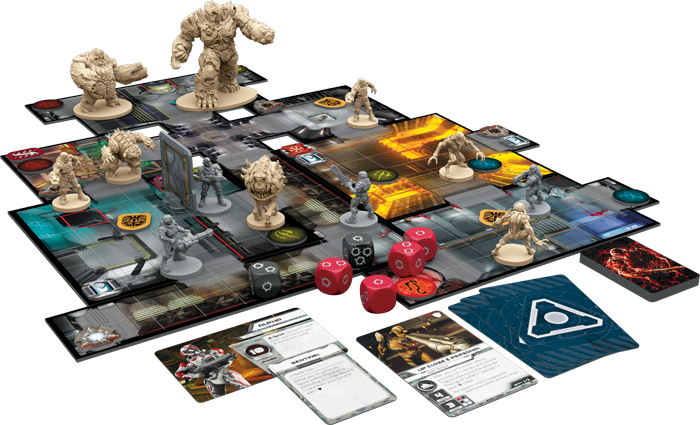 Anyone pining for that all-against-one structure can instead swivel their shotguns towards Fantasy Flight’s new edition of DOOM: The Board Game. Due out later this year, this big box of demons sounds pretty fun. I like the sound of the simple deck-building element, where the marine players start with a 10 card action deck but can bulk it up with weapons and items scattered around the map, making themselves more powerful but also more unpredictable. 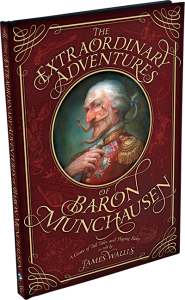 “Death,” says the above Doom preview, “is an expected inconvenience.” That’s also true of The Extraordinary Adventures of Baron Munchausen, a silly storytelling game that Fantasy Flight are re-releasing in a fancy new hardcover format. We gave a mini-review to this one forever ago. We absolutely love it, but GOOD GOD it’s not for everyone. At its simplest, Baron Munchausen has players improvising stories in the character of boastful Victorian adventurers, but (a) you have to tell the story that your friends tell you to (“Oh, tell us of the time you seduced the pope!”) and (b) your friends are constantly trying to trip you up. It’s the equivalent of Jim Henson’s The Storyteller if the storyteller’s friends were trying to pull his trousers down the entire time and his dog had drunk an entire bottle of wine. I couldn’t be happier that it’s coming back. On the plus side, even if you never play it, the book functions as the funniest manual ever written. Rounding off this news of the living dead, Asmodee has also announced a resurrection of Citadels in a fancy new edition. It looks gorgeous, obviously, the game’s been expanded, obviously, but gone is the teeny box of the previous edition (and presumably, the teeny price tag). Anyone who’d like to know more about the duplicitous second-guessing and city building of Citadels can click on the above article, or you could watch Shut Up & Sit Down’s first ever episode. Be careful, those old videos are infested with niblings and grokes. Bring a torch. But the game Asmodee posted about this week that got me the most hot under the collar (under the Conan?) was Conan. This is yet another 2-5 player game where a team of heroes take on a single player who’s commanding a whole team of monstures, but this one isn’t coming from the hard-working boys and girls at Fantasy Flight. Conan was instead developed by a team of French designers with unparalleled experience, so it’s going to play absolutely nothing like Descent. 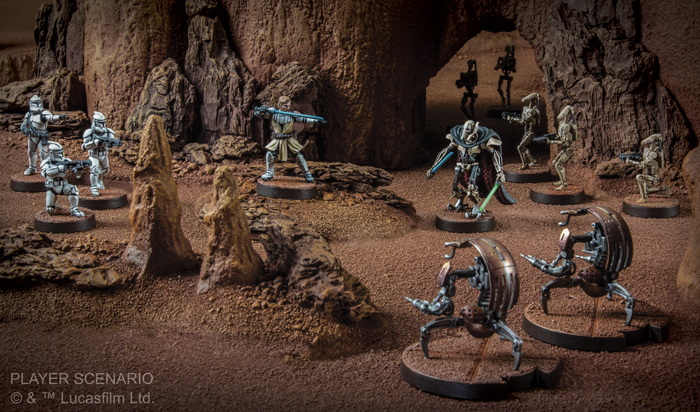 That was already enough for me to get excited, but now they’re actually revealing the rules and they look just great. There’s all kinds of dorky stuff in there that gets my dork gland squirting like a busted tap. The bad guy has a fascinating system where they move pairs of monsters at a time, but the cost of moving them relates to when they moved last. Meanwhile, the heroes are all manipulating pools of crystals representing their energy, which is lost when you’re wounded and recovers when you fight cautiously. It’s like the stamina system from Descent or Imperial Assault but blown up into a bigger, more nuanced system. Is this getting you hype? No? If you’re more into board games for the Stuff and the Things I’d recommend checking out the original Kickstarter. So many stuffs. So very many. Right, it’s time for me to pack for Gen Con! Are you coming to our live shows? Our Friday night show’s sold out, but at the time of writing the Saturday matinee has 21 tickets left… !